In the highly competitive SUV segment, a lot of automakers have gone in the bland direction of dull styling and have only optional features – not Nissan. At Landers McLarty Nissan Huntsville in Huntsville, AL, we’re proud to have the best inventory of the 2015 Nissan Murano, which is a vehicle that flips the conventional SUV on its head. Our dealership is located at 6250 University Dr. NW and is proud to be one of Alabama’s premier Nissan dealerships. With our large inventory of new Nissans, our staff will go out of their way to get you into a Nissan that works for you. 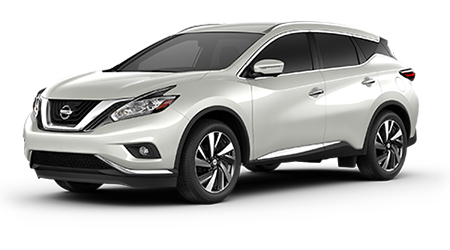 For 2015, the Nissan Murano is completely redesigned from the ground up. Significant changes include a classier interior, improved fuel economy and sleeker styling. If you’re looking for a SUV that sticks out of the crowd while providing you with the versatility of a SUV, then stop by our dealership and put the new Murano to the test. There’s a lot of tough competition in the SUV market, so let’s see how the 2015 Nissan Murano does against the Ford Edge. 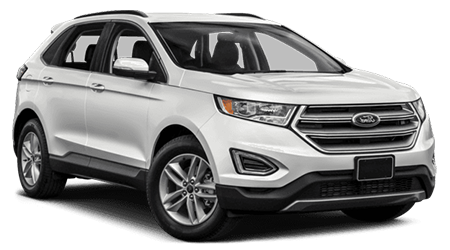 With seating for up to five passengers, the majority of SUVs on the market sacrifice interior room for cargo capacity. That isn’t the case with the new Murano. The Murano has an interior volume of 147.4 cu. ft., which is seven more cu. ft. than the Edge. This means that your passengers will be thanking you for the extra room on a long trip. While your passengers will appreciate the extra room, you’ll value the Murano’s extra cargo space. With 39.6 cu. ft. of cargo space, the Murano can hold all of your precious cargo with room to spare. The Edge offers a cargo capacity of 32.2 cu. ft, which is 7.4 cu. ft. less than the Murano’s.